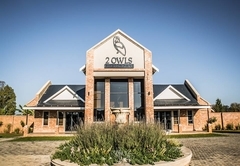 2 Owls Guesthouse is one of the Potchefstroom guest houses and provides accommodation in 10 guest rooms for tourists visiting the Southern Region. 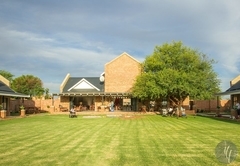 2 Owls Guesthouse offers accommodation in Potchefstroom, the gateway to North West Province. 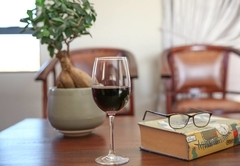 The guesthouse accommodates a total of twenty one guests and is only one hour's drive from Johannesburg and other areas of Gauteng. 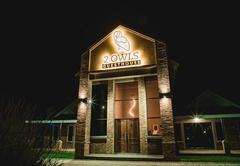 2 Owls Guesthouse has ten B&B rooms. 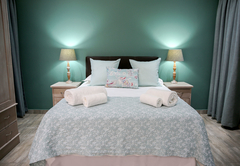 Each room has an en-suite bathroom with a shower. The honeymoon suite has a bathroom with a bath and a shower. 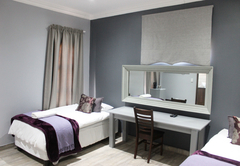 The rooms all have a TV with DStv, Wi-Fi access, a desk, seating area, hairdryer, tea / coffee making facilities and a small fridge. 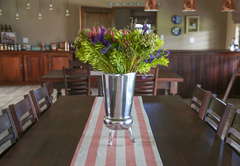 The guest house has braai facilities and guests can relax on the patio overlooking the courtyard, and iceberg roses. This room has a Queen-size bed and is wheelchair friendly. Also has en-suite shower that is wheelchair friendly. This room has a Queen-size bed with en-suite bathroom with a shower. 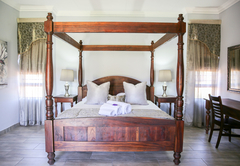 There is a King-size bed that can be converted into two three quarter beds on request. 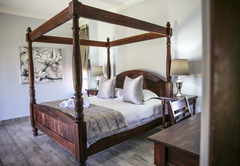 Room has a Queen-size bed and a three quarter sofa bed with an en-suite shower. 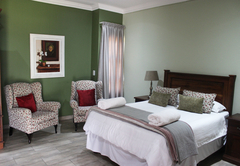 Room has a King-size bed with a complete bathroom, bath & shower and a double basin area. Room has a Queen-size bed with en-suite bathroom. 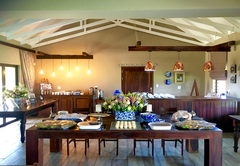 Breakfast is served in the spacious dining room, but can also be enjoyed in front of the rooms on the patio. 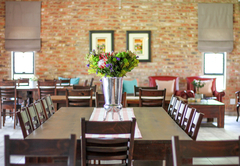 Dinners can be enjoyed at one of the nearby restaurants. 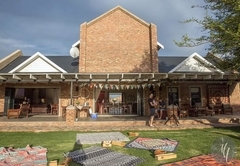 Excellent main access routes by road, rail and air connect Potchefstroom with Namibia and the provinces North Cape, Western Cape, Free State and Gauteng. 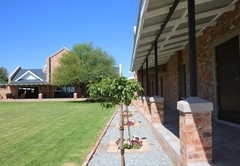 Daily train and bus services pass through Potchefstroom and route to main centres, thereby enabling tourists to visit the city in comfort. This room has a Queen-size bed and is wheelchair friendly. Also has en-suite shower that is wheelchair friendly. 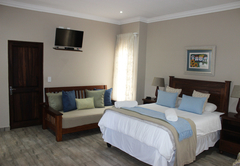 Equipped with DStv, hairdryer, bathroom amenities, fridge, desk and Wi-Fi. This room has a Queen-size bed with en-suite bathroom with a shower. 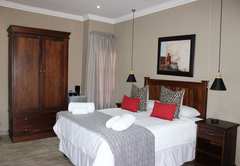 Equipped with DStv, dresser with a chair, seating area, Closet space and Wi-Fi. 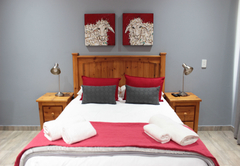 There is a King-size bed that can be converted into two three quarter beds on request. 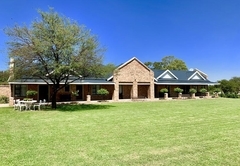 Unit equipped with DStv, fridge, Internet access and coffee & tea making facilities. 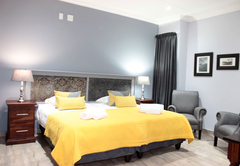 Room has a Queen-size bed and a three quarter sofa bed with an en-suite shower. 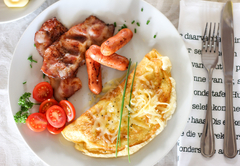 Equipped with TV, Internet access, DSTV, fridge and a dresser with a chair. 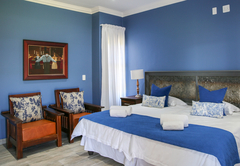 Room has a King-size bed with a complete bathroom, bath & shower and a double basin area. 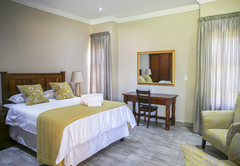 Equipped with TV, DStv, Bathroom amenities, Hairdryer and tea & coffee making facilities. Room has a Queen-size bed with en-suite bathroom. 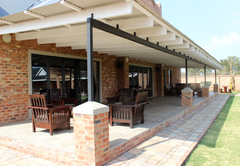 Equipped with hairdryer, TV with DStv, seating area and a fridge. Response time2 Owls Guesthouse typically responds to requests in 5-10 minutes.